Welcome to my Dork Kingdom! Here are some drawings I've been working on entirely in PaintDotNet with the line tool. 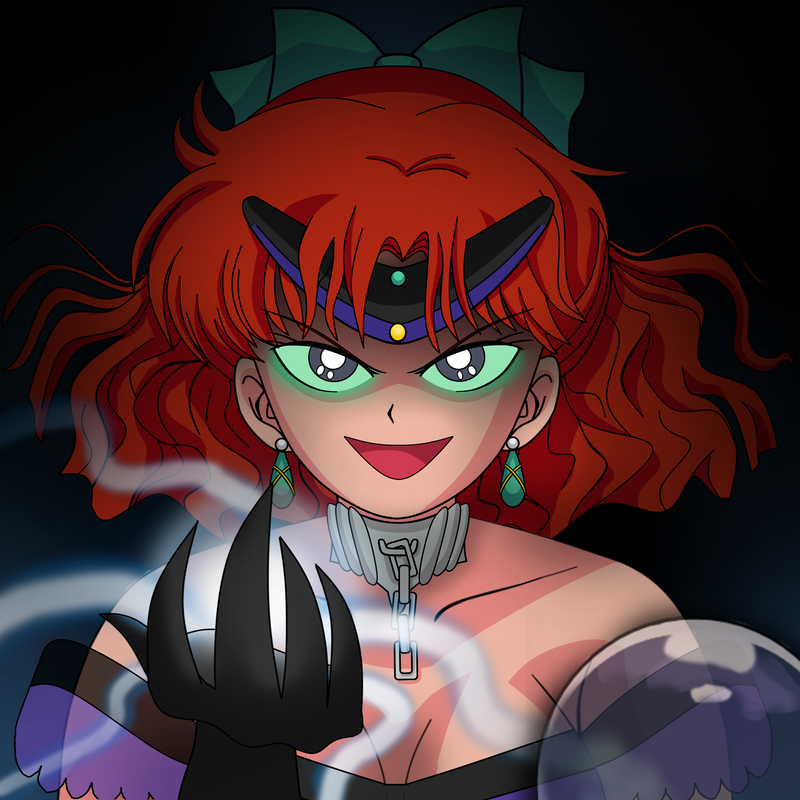 I've been trying to very closely recreate the '90s anime look for an illustrated fanfiction/fancomic project I'm making, with the working title "Serenity & Vitriol". I've been working on it for most of a year and had ideas for it churning in my brain ever since I got into the anime in 2011, and I've been slowly practicing toward that end, but I am hopeful about releasing it sometime in the next year (we'll see, no promises). Not sure about naming this "new" form, but you can probably see what I did there design-wise. 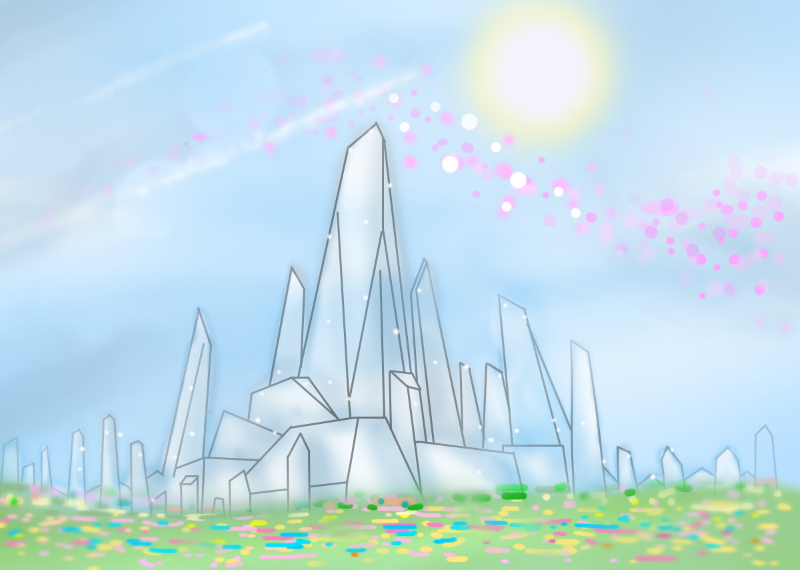 "Serenity & Vitriol" takes place in the anime's continuity, set partially in 31st-century Crystal Tokyo (about 100 yers after the time Chibi-Usa was from), and partially in the Golden Kingdom on Earth shortly before the fall of Silver Millennium on the Moon. The story revolves around the Dark Kingdom, but ties into many other events. 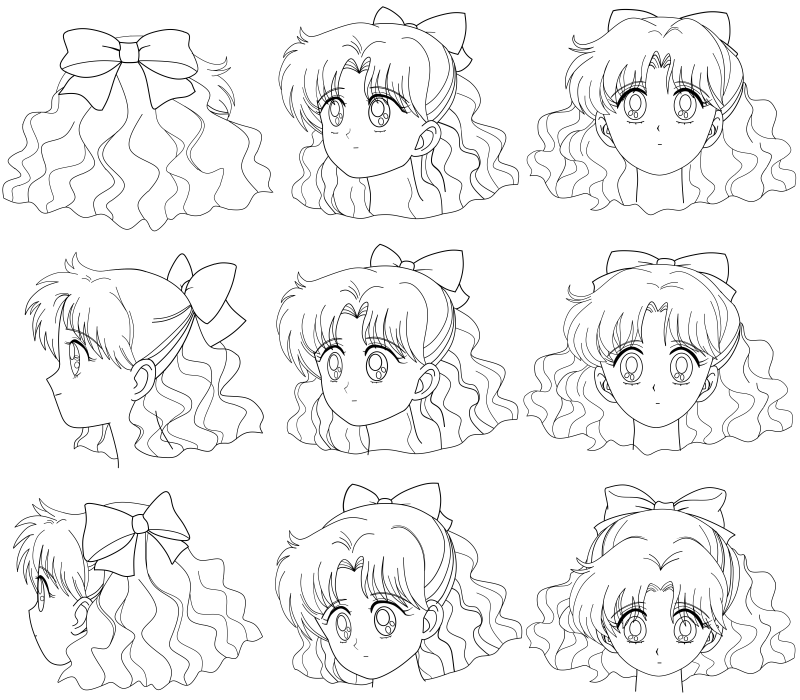 The 'main' cast includes Naru, Usagi, Umino, Mamoru, Jadeite, Nephrite, Zoisite, Kunzite, Minako, Ami, Makoto, Rei, Luna, and Artemis. 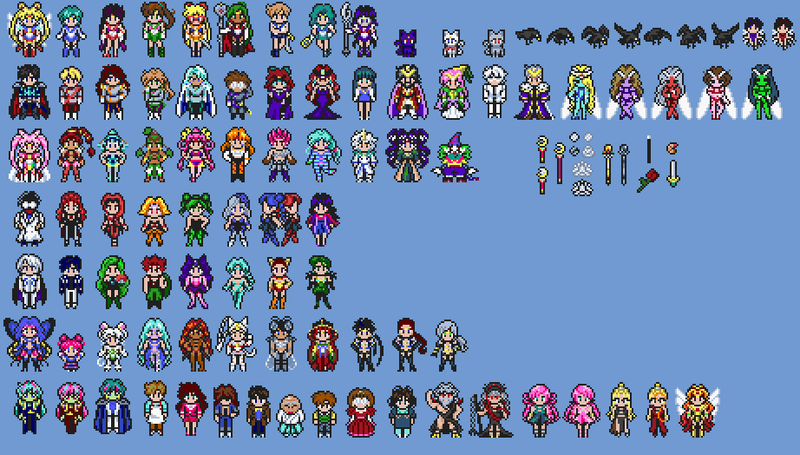 The secondary cast includes (but is not limited to) Beryl, Thetis, Professor Tomoe, Hotaru, Haruka, Michiru, Setsuna, the DD Girls, Chbi-Usa, and many more characters also appear. 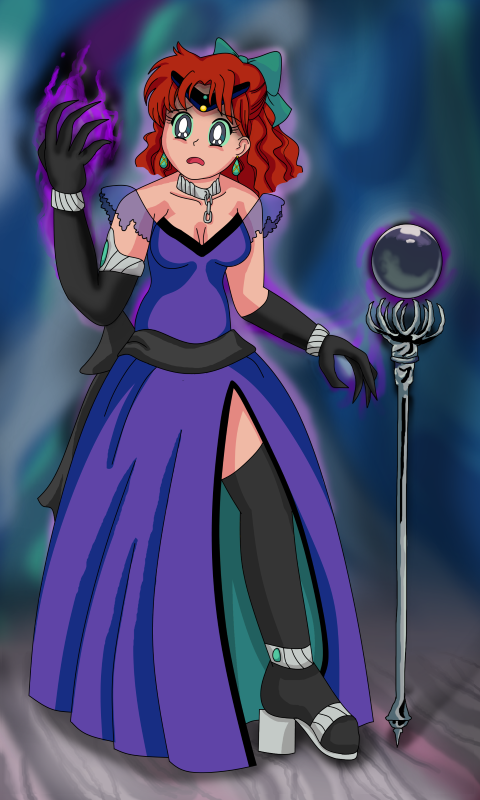 In her past life, Naru was Vitriol, daughter of Beryl (the general idea of Naru's mom secretly living a double life as Queen Beryl came from John Biles), and during the Golden Kingdom part of the story we see she was effectively the first minion tasked with collecting energy for Queen Metallia. 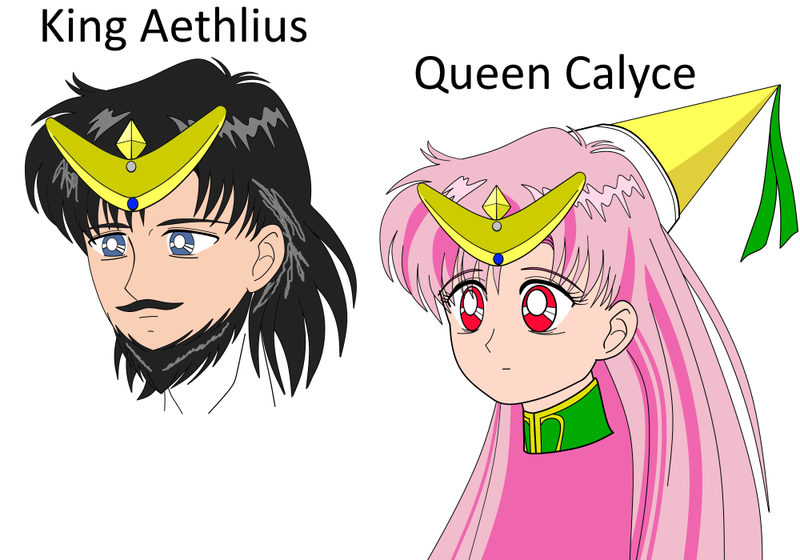 This was back when Prince Endymion and the Shitennou were the heroes of the land, before anyone realized what Beryl was up to. 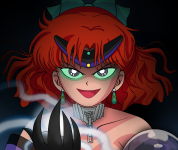 Later, Vitriol asked for her powers to be sealed by the Shitennou in order to prevent her from being possessed by Metallia like what happens to Beryl at the end of season 1. There's also a bunch of other stuff that happened in between, and immediately afterwards a lot of stuff started going horribly wrong, of course. I might be interested in beta-readers for "Serenity & Vitriol" down the road if anyone would like to see a prerelease draft closer to time (to be handled via PMs, e-mail, or some other format), but not just yet- I'd like to get the ending done before I show anyone and ask for feedback. And I'm not going to post the story publicly until it's completed. But if you're interested, let me know and I'll make sure to let you know when I'm ready (whenever that may be). They look great, I like these a lot! I still love these. xD I'd love to see you manga. These are all so cool! Nice work! Thank you, everyone! ^^ I really appreciate it, and I'm feeling very encouraged now. 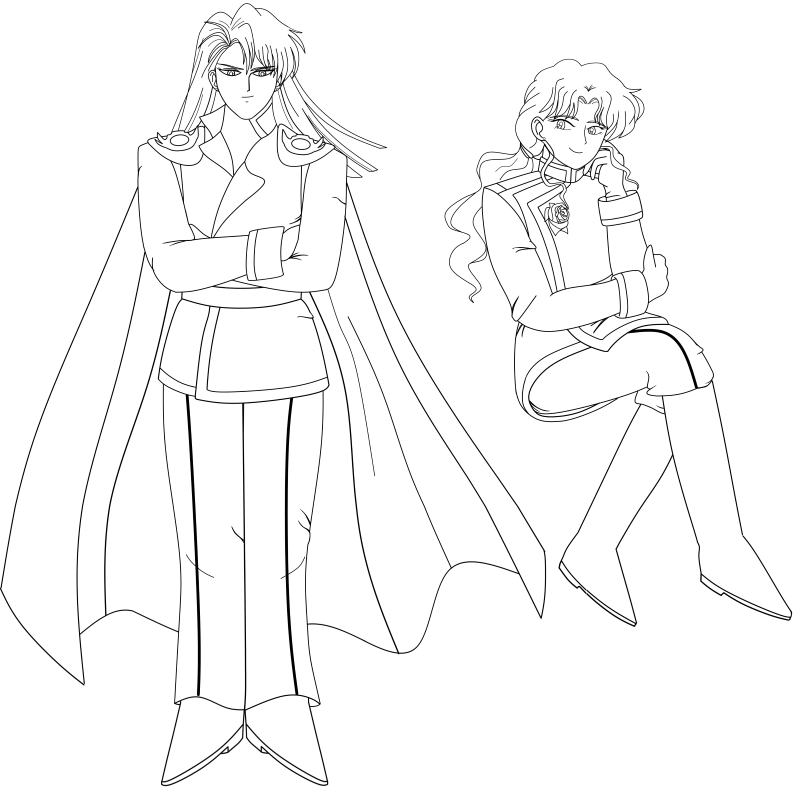 I've been steadily working on character model stuff for the hypothetical comic version to see if I can do the set up to put together a comic version of my story semi-quickly. Hopefully I will have more to post here later! Wow you did model sheets and everything! I never mentioned how much I freaking love your avatar btw XD. You really seem to know your way around facial expressions! How on earth did I miss this? Your work is incredible! Foolish humans, offer up your energy to the great ruler, Queen Metalia! Mwa ha ha!! This is so cool. Love the idea and I like the style. Here's a few newer pieces I decided to incude! They're all a little odd though. 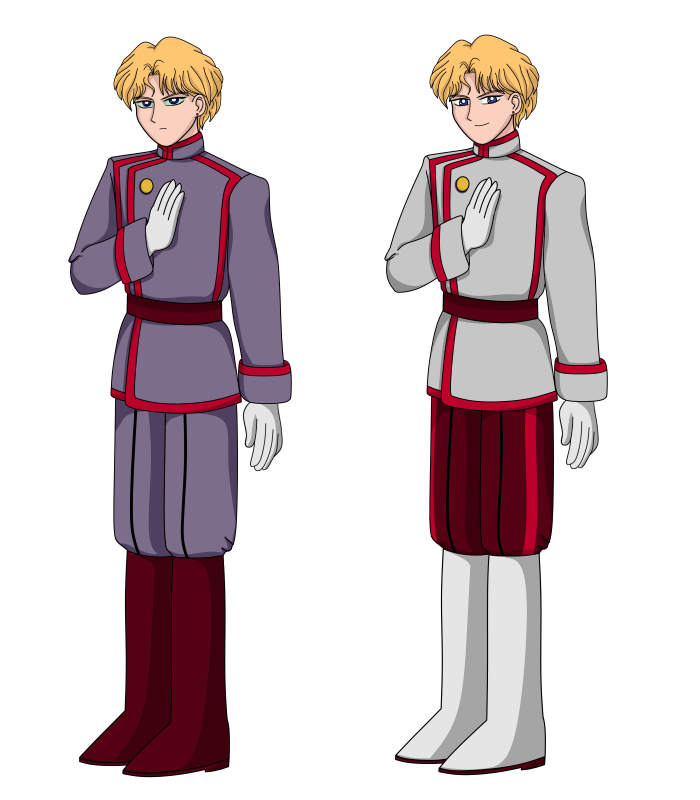 Sprites for a lot of major characters (most of whom exist in the manga or anime, but some have new costume details which are probably hard to discern at this tiny scale). A few are new characters, like Aethlius and Calyce, Aethlius' father King Aeolus, and two other minor new villains for the Golden Kingdom backstory (based on Zeus and Hera); a few are very obscure characters like Keiko Tomoe (far right past the Witches 5), Tamasaburou (the tea ceremony kid from that one S episode), and M.C. Fly. 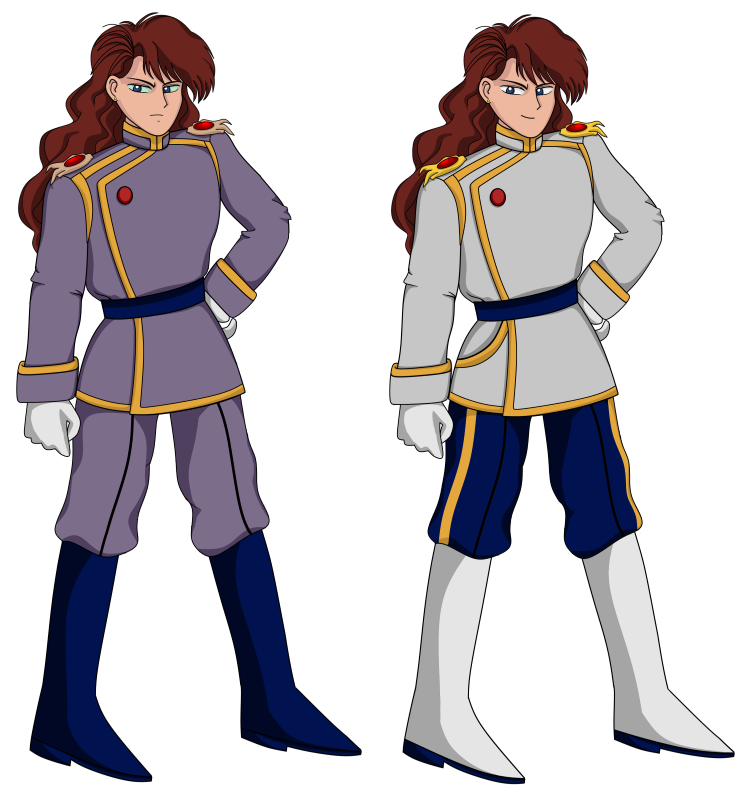 These sprites are based on Another Story, but a bit smaller scale and with simpler/brighter colors. 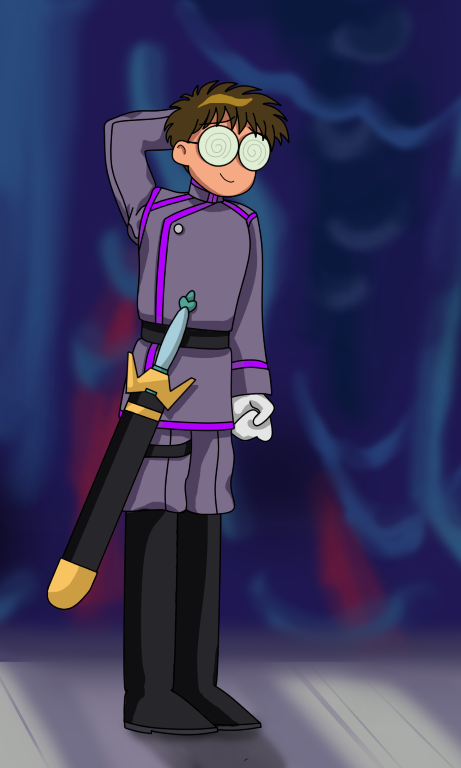 I was toying with using them for one iteration of my story, but now I'm not sure if I will or not. I am still working on the story in any case though. If anyone wants to see them at 1X scale, they're here. 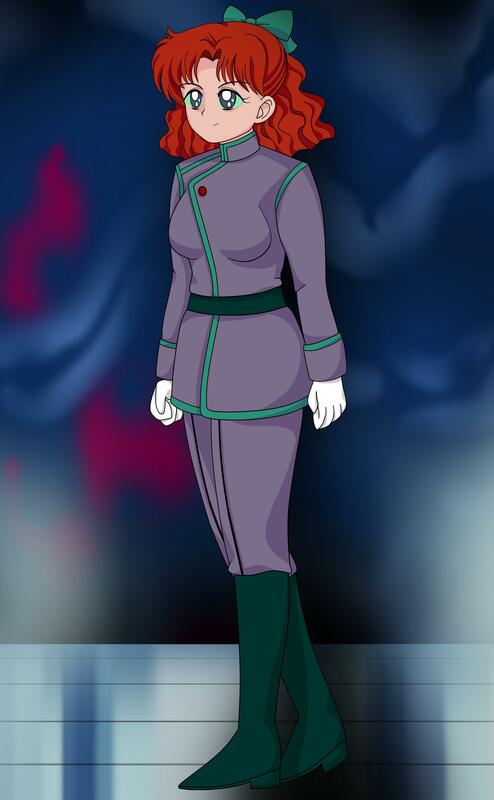 Jadeite McSwag discovered this strange character, and made a video about his findings. 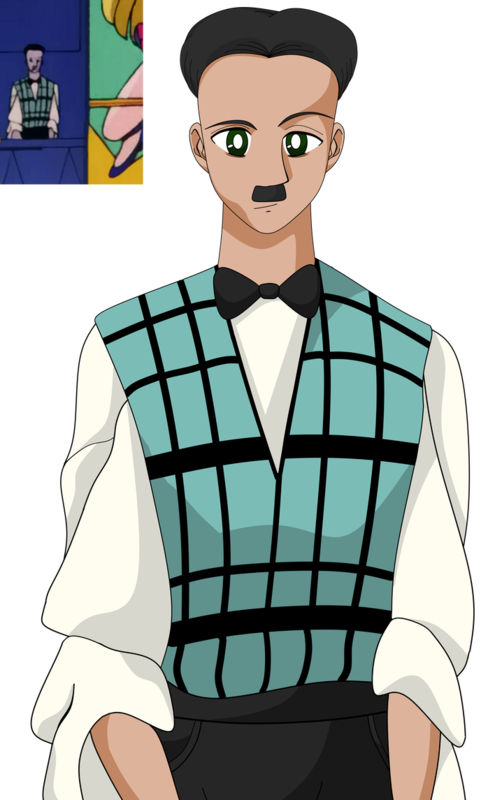 Hereby dubbing this mystery man to be Motoki's father and the owner of Crown, I have been thusly inspired to try to draw that which was not meant to be seen. I also made this tonight! I'm not sure if it'll be involved in my story or not but it was fun to make. These (and previous/other stuff) can also be seen on my deviantart page as linked in the post above (or in my profile). 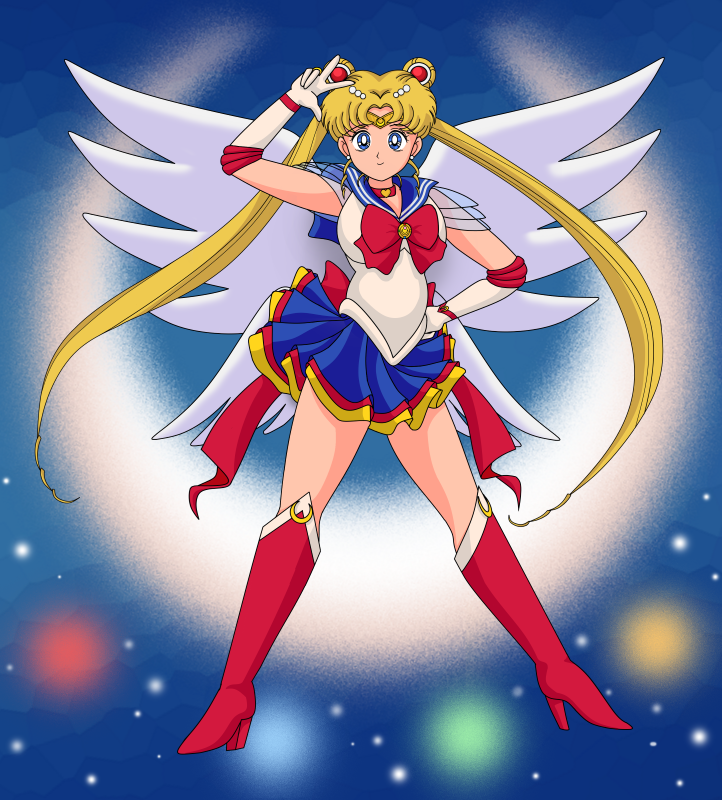 As mentioned, viewer discretion is advised if you look around non-Saior Moon parts of my deviantart as there are some mature and disturbing things on it.